The Courtyard Gate: Mom's 80 years old! 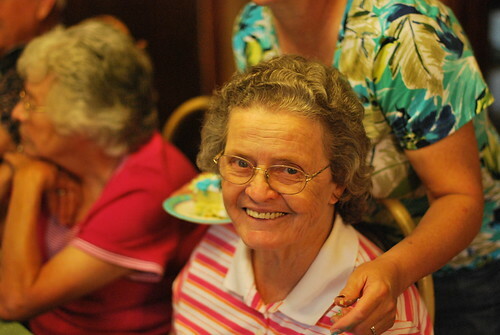 Mom turned 80 on June 10th. We had a party for her last Saturday (the 12th) and ended up with 26 family members there! You can imagine how much fun we had. It was wonderful to see Mom smile and watch her enjoy her company. She has never been much of a talker but used to be such a hostess! She always made sure everyone had tea, another serving, another biscuit, etc. But now with her illness, we love making sure she has everything she needs. Daddy baked a ham and a pork loin on Friday and my nieces, Cricket and Mindy and my sister, Melba, pitched in and helped with the side dishes. Due to circumstances beyond my control, John and I were not able to make it there until Saturday morning. I was very disappointed but sometimes life just takes a different turn than what we had planned. We made the best of it though and arrived with half of a sheet cake decorated for the birthday girl with a big "80" on it! I can hardly believe she is 80! It doesn't seem possible. Where have the years gone to??? Doesn't Sis look good? She still tires easily from all the chemo and radiation but is doing so much better! We had to stop and "strike a pose"! 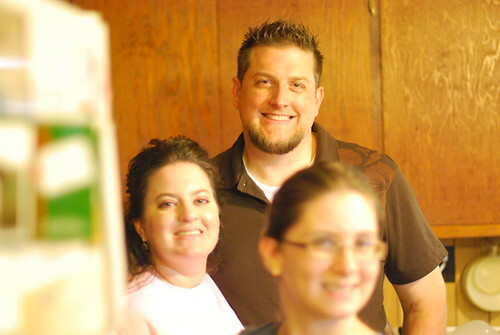 Nate, Mindy and Cricket! Sorry about fading you out, Cricket! 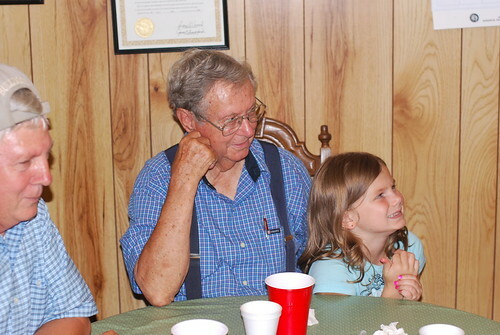 Daddy at the table with one of his great-grandchildren, Lexi, and one of the twin brothers, Lynn. Daddy is the oldest child and the twins are the youngest. 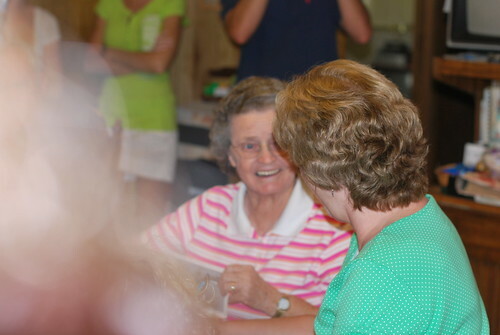 Mom and Melba as she's opening her gifts. 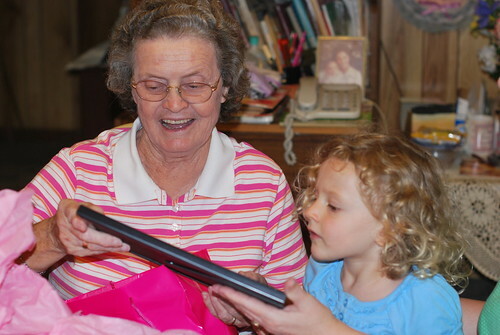 Kylie Grace, one of the great-grands "helping Nan" open her presents. She was as excited as Nan to see what was in the packages! But little ones are like that, aren't they? Always excited to see what's inside! 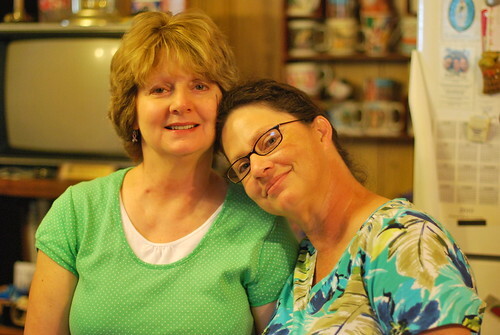 Mom had a good day and although she doesn't remember who everyone is, we all know who she is and that's one fine lady! Her favorite scripture has always been Proverbs 22:1 and to this day she can still recite it! Happy Birthday, Mama and I love you very much!